Pressure to do something about air pollution is growing at both a national and local level. Solihull Council’s draft clean air strategy, to be discussed this week, describes high levels of harmful substances in the air we breathe as “a significant public health issue”. The five-year action plan acknowledges that poor air quality can increase the risk of life-threatening conditions including cancer and heart disease and aggravate asthma and related respiratory disorders. The draft strategy outlines plans and policies to reduce levels of nitrogen dioxide and particulate matter – two pollutants which cause particular concern. The Local Democracy Reporting Service (LDRS) looks at some of the steps already being taken and measures which are set to be introduced. Traffic clogging up roads during the school run has been a headache for residents for many years. 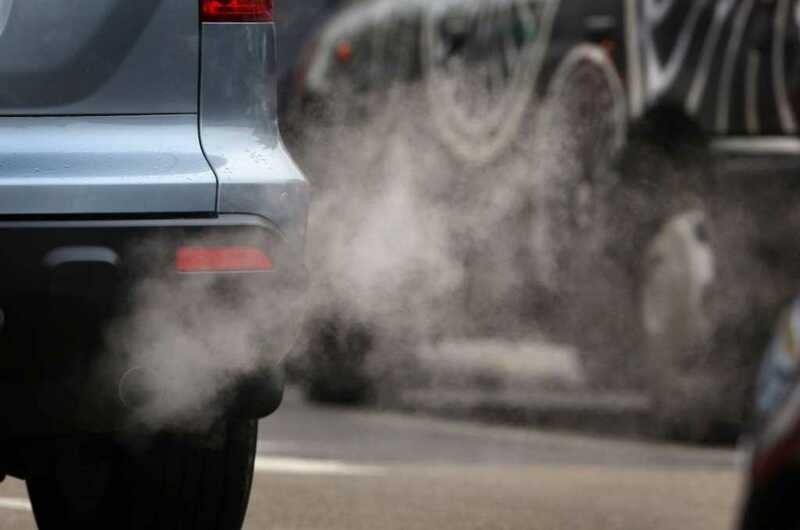 But there are increasing concerns that the number of vehicles pumping out exhaust fumes is harmful to pupils, who are more susceptible to the effects of air pollution. Solihull last week agreed to look at options for expanding its School Streets scheme, which bans traffic from certain roads at the busier times of the day. Plans are also being drawn up to build on the work being done to educate children about air quality in the classroom. Busy roads inevitably generate a lot of air pollution in Solihull. There has already been a concerted effort to support the move towards electric vehicles, which are considered better for the environment than those powered by petrol or diesel. Charging points have been installed in the council’s main town centre car parks and the local authority has introduced its own electric vehicle scheme. Residents can expect activity to increase in the coming years, with an emphasis on electric taxis and buses in future. Work will also be done to support the combined authority’s bike hire scheme, promote cycle routes and encourage more businesses to introduce initiatives such as car-sharing. Thinking about the air pollution implications during the planning process can reduce the need for more costly mitigation measures in future. The council wants to ensure that new housing developments do not leave residents heavily reliant on cars. This follows concerns that Dickens Heath, which has seen rapid expansion in recent years, has a very limited bus service. Planners will also be urged to avoid allowing the likes of schools or care homes to be built in areas where there are air quality risks. The council is aware that the HS2 rail link – a massive civil engineering project – will bring huge numbers of construction vehicles onto Solihull’s roads. The draft strategy stresses the importance of haul routes to keep the traffic away from local residents. Planting trees near air pollution “hotspots” – such as key junctions or traffic lights, where engines are often idling – could help draw harmful fumes out of the atmosphere. Creating more hedges and “green walls” can also clean up the environment, with scientific studies suggesting that the leaves trap air pollution particles. One of the most high-profile initiatives currently underway in Solihull is the proposal to create an underground heat network to serve the town centre. A trial bore dole is being dug in Tudor Grange Park this month, to assess the scheme’s viability. Public health officer Sangeeta Leahy had told councillors last year that a dramatic increase in press coverage had pushed air pollution up the agenda. But the council wants to continue to raise public awareness throughout the year, extending beyond the annual publicity drive on Clean Air Day. Campaigns could promote the council’s work generally and also focus in on specific issues. For example, encouraging people to leave the car at home on certain days or think about the impact of wood burning devices during the winter months. The draft strategy will be discussed at the economic development and managed growth scrutiny board. The document is then set to go to cabinet, to be finalised, next month.